Last time the Indonesian volcano Mount Agung caused some troubles during our stay. Today it is more easy, no problem at Taman Bali airport, my sweet paradise is spiritual easy. A tailor made refuge for a romantic stay in the “Garden of Eden”. 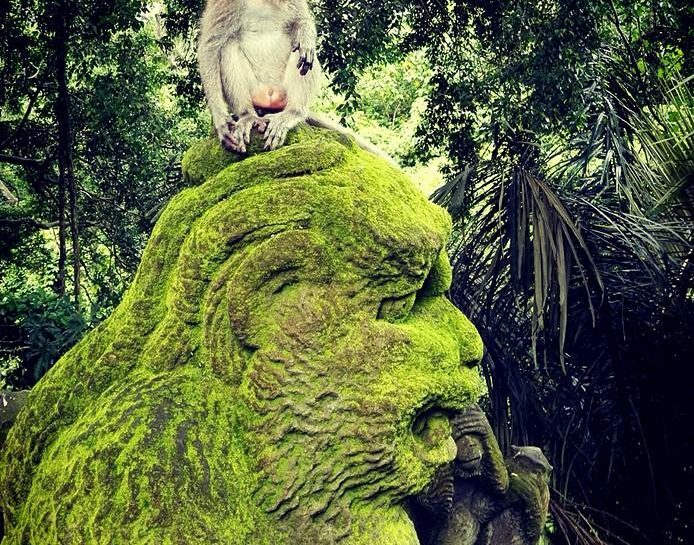 The locals call the island “Taman Bali” (Garden of Eden). The german painter Spies got his inspiration from Balinese woman that he painted in his lush landscapes. It was in the roaring twenties and thirties, but ever since, foreigners have come to relax. Nowadays surfboarder are waitin for the best waves. Farther inland, spiritual seekers wrapped in body-skimming sarongs commune in temples. 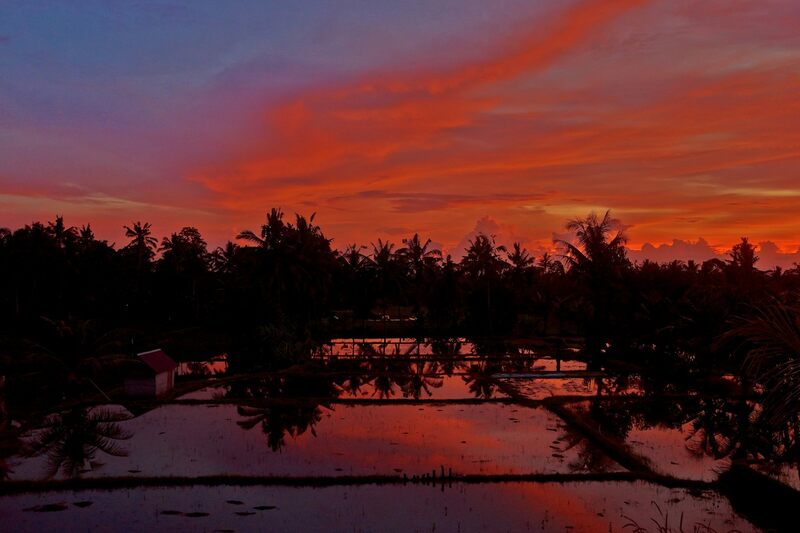 Punctuated by temples hidden behind ornately carved archways and petal-filled lanes, Ubud is Bali’s artistic hub. And beyond the painted masks and shadow puppets that spill out of countless storefronts are a string of new galleries that offer one-of-a-kind treasures. The hotel chain Como created a place in which earth, water and air are spiritually combined. I loved what we found here in the healing hotel COMO. Eden is now believed to be a joyful stay in fruitful, well-watered location. This fantastic hotel is set amid the tropical Ayung River valley. 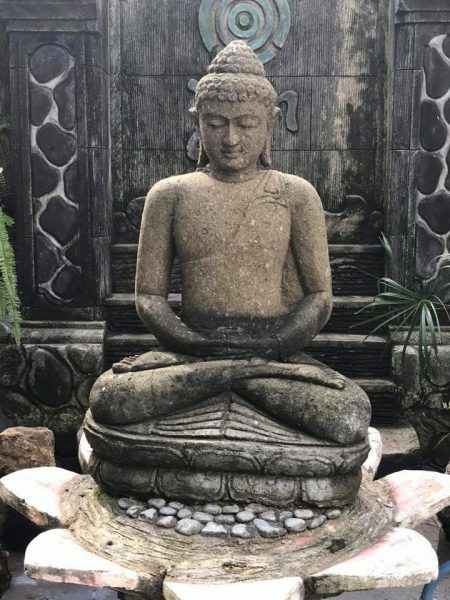 Beautiful, relaxing days, we shaked up our chakras at Bali’s most luxurious health retreat. 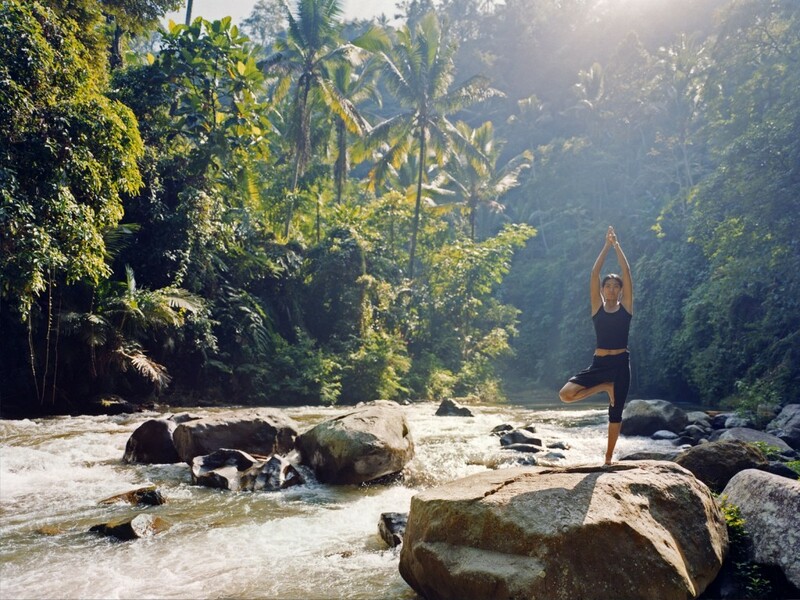 The estate combines spiritual, luxury and holistic wellness deep within the rainforest overlooking the stunning River Ayung. Yes, everything was well-watered and easy to detox; unstress of life and realign your chi while you’re at it. The real “wow” factor is the holistic element – this is where you can detox, de-stress and revitalise. 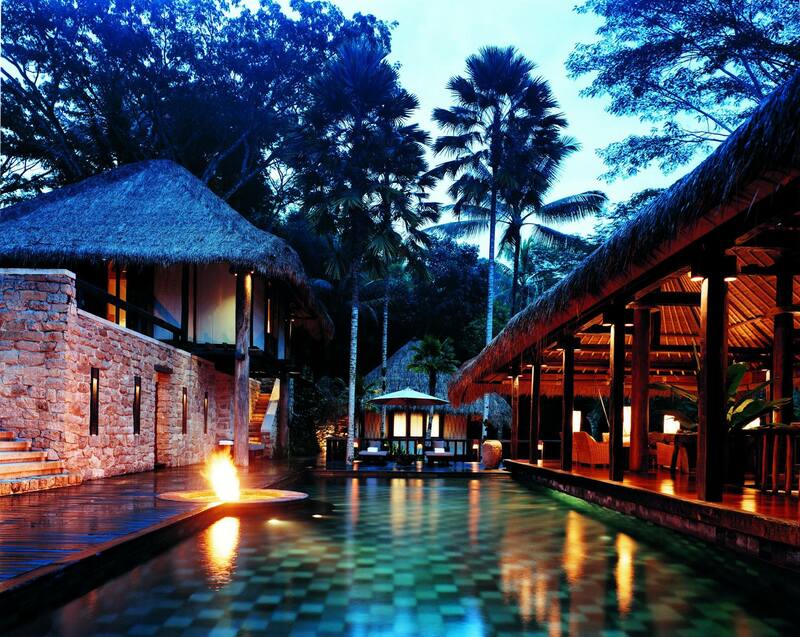 The holistic COMO Shambhala Estate is more than a normal hotel. 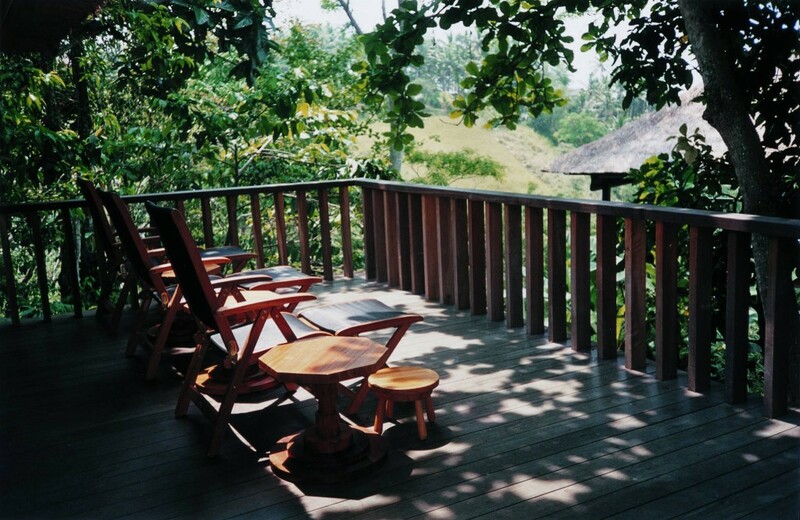 It’s a sumptuous combination of the two, staggered up the steep slopes of the sacred Ayung river gorge. Previously known as Begawan Giri, the estate has been recreated and offers you now lot of freedom to choose what you need. The incredible residences and villas display the COMO trademark “Asian-meets-European” decor. Alang-alang roofs shelter hand-carved furniture and Chinese antiques; baths are carved from Sumban stone. Each has a private infinity pool. We learned a lot of things about Qi Gong, meditation and Ayurvedic treatments. For me one of the world’s most beautiful hotels in the Garden of Eden with acres of stunning tropical grounds, riverside forest and plunging hill terraces. As you know Bali is a magical place with lots of holistic places and it offers fantastic landscapes and an amazing architecture. Our cultural hideaway is only a 20-minute drive from Ubud, the setting is pretty remote and once you’re there, you probably won’t leave the grounds and stay in bed or at the pool the whole day. We shared the pool and living areas with everyone, like a social open place. Hopefully Bali can handle the volcano: Mount Agung eruption closes Bali’s main airport…..